The following are a collection of informative, timely, and valuable articles on securities with insightfull and personal commentary from Mr. Schulz. If only, in turbulent markets like these, you could know your financial adviser will always act in your best interest. A rule the SEC proposed last year would help bring some of those hidden incentives into the light, although big Wall Street firms are lobbying to water it down. What about the incentives Mr. Clayton spoke about that aren’t even hidden? Many major brokers, banks and financial advisers take revenue-sharing payments—legal kickbacks that mutual-fund companies pay to reward sales of particular funds. Such payments vary from 0.01% to about 0.15% of the amount invested. That gives firms an incentive to favor the funds that share the biggest revenue payments with them. Some firms swear they put your interests first, but constrain your choices. Morgan Stanley and other firms say they mitigate such conflicts by ensuring their brokers don’t receive incentive compensation based on how much revenue sharing their sales generate. On advisory accounts, Morgan Stanley rebates such fees to clients. Even so, the firms themselves get the extra revenue. Perhaps that’s why Morgan Stanley and other brokerages no longer offer low-cost mutual funds from Vanguard Group, which doesn’t make revenue-sharing payments. When Morgan Stanley trimmed its menu of funds, “having consistent economic arrangements with our asset-management partners” was a criterion, says a spokeswoman. JPMorgan officials weren’t available to comment. The attached article in the Wall Street Journal about Merrill Lynch/Bank of America should give you concern. In 2002 when my wife and I wrote the book, “Brokerage Fraud – What Wall Street Doesn’t Want You to Know.” We warned that there are two paramount questions to ask anytime you’re making an investment: A) What is the person that’s selling you the investment getting paid as a commission or fee? B) What are all the conflicts of interest that the person who was making the recommendation has concerning his recommendations? 3. Brokers are pushed and incentivized to push products that make the most money for the broker and the brokerage firm, not for you. 4. Margin interest, which increases the risk substantially in your investment portfolio, is a huge profit center for the brokerage industry. When you play with fire, you can get burned: our mothers taught us this. Yet once again Wall Street dishes up another perfect example of how investors buying into one of their newly created products/investments, you can lose your shirt. Another classic example of how Wall Street, stock brokers, investment advisors, money managers and portfolio managers forget lessons that were supposedly learned from earlier bear markets and failed investments. We’ve been in a very bull market for roughly 8 years, and so once again Wall Street is pushing riskier and riskier investments. The speculative ETFs mentioned in the article below are just a few of the wild crazy ETFs and other products Wall Street has created in the last decade. ProShares, Ultra, and Direxion 2X and Direxion 3X R example of these leveraged and inverse ETFs. Guess right, and you can make a lot of money, guess wrong and you will be washing dishes. Did the brokerage firms, brokers and advisers who push and recommend these products, really fully explain the incredible risk to their clients and investors? Probably not, even though they are required to do so under the securities regulations. We had an interesting correction in the markets the last two days, it’s inevitable: corrections are inevitable, and this market was due because of the historical run-up in values recently. Most of the time investors’ portfolios can live through these corrections if they are short in duration. But who gets hurt in these corrections, is those investors who are in leveraged funds, inverse funds, and margin accounts. I distinctly remember what is still considered one of the greatest market corrections of all time, 1987. Even though the market had a huge correction in the fall of 1987, all in all the markets were positive for the year of 1987. So, for those investors who were properly diversified and did not have margin or leveraged investments in their portfolios, they weathered the 1987 crash with very little loss. But the opposite happened for those portfolios there were using options, margin, in other riskier investments. Their portfolios were quickly wiped out, and they couldn’t stay for the long run. After the article by the Wall Street Journal, below I have listed some of the wilder riskier crazy ETFs, tread lightly, very likely. On Tuesday morning in Tokyo, Japanese securities firm Nomura Holdings Inc. said it would redeem an investment product whose performance was linked to the Cboe Volatility Index, or VIX. It lost much of its value hours after the VIX spiked when stocks in the U.S. fell sharply on Monday. And trading in the VelocityShares Daily Inverse VIX Short Term ETN , XIV -14.32% known by its ticker symbol XIV, was halted Tuesday morning in Europe. Credit Suisse Group AG CS -3.97% , which created the instrument in 2010, is expected to provide an update about redeeming it before U.S. markets open, a person familiar with the matter said. It recently had a market capitalization of $1.6 billion. Products like XIV and Nomura’s Next Notes S&P 500 VIX Inverse ETN are notes whose value goes down when the VIX goes up. Their issuers are allowed to redeem them early if the value plunges sufficiently. XIV, for instance, can be redeemed if the value drops more than 80% in a day. The value of XIV moves inversely to the S&P 500 VIX Short-Term Futures Index, which jumped 96% Monday. In the years since the financial crisis, shorting volatility has become a popular and profitable strategy for investors while yields have plunged around the world and stocks have moved placidly upwards. “We apologize from the bottom of our hearts for causing great inconvenience for the holders,” a unit of Nomura that issued the notes said in a statement. Investors in the product were told they would receive just 4% of its market value a day earlier. The Nomura investment product was a complex bet that volatility in stocks, as measured by movements implied by options prices, would fall. The Next Notes product’s total market capitalization was about around $297 million as of Feb. 5. Before Monday’s crash, it had more than doubled from a year earlier. But when U.S. stocks lurched downward on Monday, the volatility index surged, causing losses for the Tokyo-listed exchange-traded notes—which were issued by a European unit of the Japanese brokerage. The S&P 500 index dropped 4.1%, while the VIX jumped 117% in its largest-ever percentage gain for a single day. The underlying index tracked by the Next Notes product fell more than 80%, triggering a condition requiring early redemption. Nomura said Tuesday that the notes would be redeemed at steep discount to their closing price on Monday in Asia, crystallizing large losses for investors. 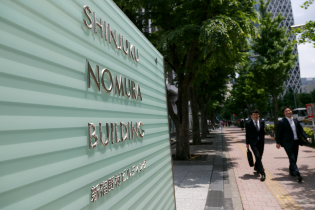 Shareholders will receive Y1,144 ($10.5) per share before fees, according to a regulatory filing by Nomura. That was just under 4% of Monday’s closing price of Y29,400 ($266) a share. It was the first instance of an early redemption for exchange-traded funds or notes on the Tokyo Stock Exchange, according to an exchange spokeswoman. There are roughly a dozen inverse VIX exchange-traded products with more than $3.4 billion in total assets under management, according to Morningstar data. Most are traded on U.S. or European exchanges. A ProShares fund with the ticker SVXY that previously had $1.4 billion in assets also collapsed in value and was also halted in early trading on Tuesday. A Credit Suisse spokeswoman said late Monday that there was “no material impact” to the bank from the activity in the fund. Credit Suisse doesn’t itself own shares in the exchange-traded product, VelocityShares Daily Inverse VIX Short Term ETN, according to a person familiar with the matter. Credit Suisse holds roughly 4.8 million shares of the note, according to FactSet, but does so on behalf of clients such as hedge funds. Credit Suisse said Tuesday that it suffered no trading losses from XIV. Credit Suisse shares were down 4.5% midmorning in London on Tuesday. Even if Credit Suisse doesn’t incur losses from the instrument’s collapse, it does face reputation damage if its clients incur heavy losses. —Mike Bird contributed to this article. You watch and read all those ads by Wall Street with a claim to only have your best interest at heart, but don’t be fooled. Wall Street hasn’t had your best interest at heart since the days of paper tickertape. The attached article is once again more proof that Wall Street keeps its heart in its wallet. The reason that consistently some of the highest-paid professionals in the country are in the stock brokerage business is because Wall Street knows how to squeeze as many commissions, management fees, margin interest in trading spreads from each of its investors/clients. Vanguard mutual fund management has been a thorn in Wall Street for decades. While the rest of the mutual fund industry was always seeking new ways to make more money from their investors, Vanguard has been the industry leader on how to reduce costs to its investors. And now the brokerage industry, including those broker-dealers who specialize in Internet and online brokerage services, are fighting back. Fidelity, Ameritrade, Morgan Stanley and a few others are now going to penalize investors who invest in the Vanguard mutual funds with no front-end fees and exceptionally low annual fees. And some firms like Ameritrade - it just decided not to let you buy Vanguard funds at all. Whose best interest? Not yours! Wall Street is fighting back against Vanguard Group. In the past year, large financial firms including Fidelity Investments, TD Ameritrade andMorgan Stanley have all made changes to their fees or product lineups that make it more expensive for some customers to invest in Vanguard’s funds. In some cases, these firms have even made it impossible to invest in Vanguard mutual funds at all. The changes made so far are small and have occurred in several different corners of the investing market, but they represent a stark shift for an industry that has struggled to manage being both Vanguard’s partner and competitor. Vanguard has pulled in record levels of new cash in recent years as investors plowed money into lower-cost index-tracking funds. It now manages nearly $5 trillion in assets, up from $1.4 trillion 10 years ago. That growth was aided for years by Wall Street as many wealth managers and brokerage firms sold inexpensive Vanguard products to their customers. More recently, rival money managers have tried to better compete on price, slashing their fees. Now, rival asset managers, brokerage firms and retirement-plan administrators are fighting back more aggressively. Fidelity, the largest 401(k) plan administrator in the country, will now charge some new corporate customers that hire the firm to run their 401(k) plans a fee of 0.05% on assets invested in Vanguard funds. That new fee covers administrative services that Fidelity provides as a 401(k) record-keeper, a spokeswoman for the Boston firm said. Fidelity explicitly requires employers to pay the fee, rather than passing it off to plan participants, a person familiar with the matter said. Companies and plan participants typically share 401(k) plan administration costs, however, which means savers could bear some or all of the new cost if an employer sought to recoup the new expense in a less explicit way, retirement industry executives say. The fee is small but could add up over time. For example, an investor who put $10,000 into a mutual fund that charges 0.1% and achieves a 5% annual return would have $41,942 after 30 years, according to Bankrate.com. An additional 0.05% fee on those assets would mean the investor earns $626 less over that period. Executives from the two firms have been in talks for years over Vanguard’s refusal to pay the servicing costs. In December, leaders from both firms met at Vanguard’s Pennsylvania headquarters, and Fidelity executives pressed the firm to reconsider its stance, according to people familiar with the matter. Fidelity ultimately put the fee change in place without notifying Vanguard, the people said. “It’s definitely unusual; we haven’t seen any other charge like this,” said Emily Wrightson, director at Cammack Retirement Group, Inc., adding that it could deter companies considering whether or not to hire Fidelity if their employees prefer Vanguard funds. “I don’t think it’s going to help” Fidelity win new business, she said. Fidelity is by far the largest 401(k) record-keeper in the U.S., according to consulting firm Cerulli Associates, with a nearly 30% market share and about $1.4 trillion in assets in the plans it administers. Of those assets, 13% are in Vanguard products, according to research firm BrightScope Inc. The recent move by Fidelity’s retirement business, which was first reported by InvestmentNews, is unconventional because it appears to only affect Vanguard and because of the scale of the fee, industry executives say. The 0.05% charge on assets in Vanguard funds amounts to more than 40% of the average expense ratio across Vanguard’s mutual funds. Fidelity’s additional fee makes comparably priced funds with similar investment mandates it offers even more competitive with Vanguard’s funds. In 2016, Fidelity slashed prices on more than two dozen index-tracking funds, putting them on par with or below those of comparable products offered by Vanguard. Across the industry, there are now 571 mutual funds that charge investors 0.1% or less, compared with 425 at the end of 2012, according to Morningstar Inc. At Vanguard, the average expense ratio of its funds is 0.12%. One reason Vanguard has been able to offer such low fees for so long is the structure of its business: It is owned by its fund shareholders. The Malvern, Pa., money-management giant also allows investors to buy mutual funds directly from it unlike many of its rivals and trade its exchange-traded funds commission-free. The new 401(k) fee at Fidelity won’t apply to existing clients with assets in Vanguard funds. Large companies that currently offer Vanguard funds in 401(k) plans run by Fidelity include International Business Machines Corp. , according to the most recent regulatory filings available from the Labor Department. Fidelity isn’t alone in targeting Vanguard. Other brokerage platforms have also taken steps that make the index giant’s products less appealing than comparably priced funds sold by rivals. TD Ameritrade late last year overhauled its commission-free ETF trading lineup, dropping all 32 Vanguard products it had previously included. That overhaul increased the total number of ETFs that could be traded commission-free. Morgan Stanley last year decided to ban its financial advisers from selling clients new positions in Vanguard mutual funds, the Journal reported. 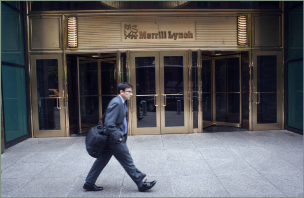 Merrill Lynch has long had such a policy for its advisers. Moves to deter the use of Vanguard funds have at times stalled. Morgan Stanley, for example, considered changing the compensation calculation for its financial advisers to discourage them from keeping clients in Vanguard funds, but ultimately decided against it, according to people familiar with the matter. The change mooted would have excluded client assets in mutual funds that don’t pay for distribution when calculating financial-adviser compensation. While some moves have made rival funds relatively less expensive, they have so far done little to halt the tidal wave of new cash flowing into Vanguard’s products and in some cases risk driving investors loyal to Vanguard to the firm’s own retirement administration and brokerage businesses. 1. Was the risk of margin/leverage fully explained to the investor? 2. Was the risk fully explained to the investor that when you have a leveraged stock or bond portfolio, when there is a decline in value of the holdings, that decline in percentages is magnified due to the leverage? 3. Using margin in a fixed income/bond portfolio almost never makes sense, especially in these low-interest rate environments. 4. Margin interest charges are a conflict of interest because the margin interest being charged is a profit center for the broker-dealers. 5. Was the investor fully aware that when there is a decline in the portfolio, the broker-dealer, based on the agreement the investor signed, can sell the client out without any notice at all? 6. Was the investor fully aware that when a broker-dealer decides to sell a client out (liquidate securities to meet the margin call), the broker-dealer can sell any of the securities they choose? 7. Margin interest is a capital impairment. I explain to FINRA arbitration panels that it is hard enough to make money in the markets, but when the investor is paying margin interest, it is a drag on potential profits. A boom in securities-backed lending is bolstering bank profits, but critics say it doesn’t always benefit clients, and regulators have been keeping a close eye on the practice. Securities-backed lending is growing in importance at brokerages such as Merrill Lynch. 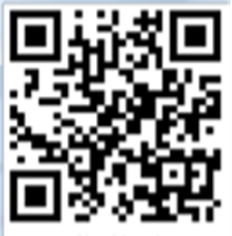 RISK & COMPLIANCE JOURNAL. The Morning Risk Report: How Brokers, Firms Can Fight Frivolous Finra Complaints By Ben DiPietro Jul 11, 2017 6:57 am ET The Financial Industry Regulatory Authority in June 2016 began requiring brokers and registered investment advisors to link to its BrokerCheck site, where consumers can research any complaints filed against them. While many of those complaints are serious. As a securities regulatory expert (CRCP – Certified Regulatory Compliance Professional - certified by the Wharton School of Business and FINRA), I am regularly hired to consult and advise on the issue if a broker-dealer or an investment advisor’s compliance and supervisory systems are adequate under the various securities regulations. My experience is that many of the smaller broker-dealers and investment advisors in the last few years are starting to rely on outsourcing some of their compliance and supervisory duties. As this article points out, they are buying “canned” generic compliance and supervisory systems. This is clearly not in the best interest of the individual investor. Too many companies are relying on “canned” compliance programs that don’t apply to their needs, regulators in Texas told investment firms this month. Lawyers say the news highlights the fact that while expectations have changed over the years, some companies still see compliance systems as an off-the-shelf product that will work for one firm as well as for another. Staff from the Securities and Exchange Commission’s Fort Worth, Texas, office raised the concern during conference calls this month to inform investment advisers and investment companies about issues that came up during the regional office’s 2017 examinations of such firms, as well as likely enforcement priorities for 2018, Shamoil T. Shipchandler, director of the Fort Worth office, told Risk & Compliance Journal. “We had some indications that there were companies buying off-the-shelf programs and not customizing them to their needs,” Mr. Shipchandler said. Having a compliance program that is tailored to a company’s business is critical, said William H. Devaney, co-head of the law firm Baker McKenzie’s global compliance and investigations group, because every company—even those in the same industry—faces different dangers. On January 11, 2018, the Fort Worth, Texas, Regional Office (“FWRO”) of the U.S. Securities and Exchange Commission (“SEC”) held a first-of-its-kind call to increase transparency by discussing the 2017 regional examination findings and previewing some likely priorities for 2018.1 With over 2,000 participants, the teleconference reached capacity leaving many unable to participate. The hour-and-a-half-long call was structured into three parts: (1) discussion of the National and Regional Examination Programs; (2) investor risk highlights; and (3) a question and answer session. For those in the financial services industry in the Dallas-Fort Worth Metroplex, the sampling of topics covered provides key insights of what is likely to come in the new year. 1. Compliance Policies & Procedures. The FWRO reported that compliance-related citations pursuant to the Compliance Rule, 17 C.F.R. § 275.206(4)-7, were included in almost 50 percent of regional delinquency letters in 2017. Too frequently, firms used “canned” compliance policies that were not tailored to the firm’s own business dealings. Often, the FWRO found compliance programs containing policies that were inapplicable to the firm’s business operations and, in some instances, included the name of another firm instead of their own. As a result, many firms were already in violation of their own policies. The FWRO reminded listeners that the Compliance Rule requires annual review to address any compliance issues from the previous year, as well as any changes in applicable laws. Moreover, the FWRO noted that it was “no fan” of chief compliance officers that wear other hats in the firm or report to the general counsel instead of the firm’s CEO. Finally, the FWRO also mentioned it would be examining how firms affected by Hurricane Harvey implemented their business contingency, continuity, succession, and/or disaster plans. 2. Anti-fraud Provisions & the Fiduciary Duty. 33 percent of regional delinquency letters in 2017 cited anti-fraud and fiduciary duty related violations. The FWRO emphasized that Section 206 of the Investment Advisers Act of 1940,2 as the Supreme Court interpreted it SEC v. Capital Gains Research Bureau, Inc.,3 imposes both a fiduciary duty to expose all conflicts of interest and an affirmative obligation of utmost good faith to place a client’s needs above that of an adviser’s. The FWRO also counseled firms to reevaluate their fiduciary duties to their clients to avoid misleading them, citing to the administrative decision of In re: Lawrence M. Labine,4 to warn of the interplay the anti-fraud provisions have with those trying to switch hats between a registered investment adviser representative and a registered representative of a broker. Furthermore, double billing and advisory fees would continue to be investigative priorities both nationally and regionally, according to the FWRO. 1. Abuse and improper use of Initial Coin Offerings (“ICOs”). 2. Federal government employee retirement investment scams. 3. Failure to disclose potential associated risk and loss of securities-based loans to consumers. 1. Will the SEC adopt the Department of Labor’s fiduciary rule? The FWRO replied that SEC Chairman Jay Clayton has been vocal about his interest in taking a lead on the establishment of an overall fiduciary rule and that the Chairman will likely work with sister regulators to create a harmonized rule. 2. What triggers an “on-site” administration versus a “desk” administration of an examination? While this has historically been based on a time cycle, the FWRO answered that this determination is now risk based. After a risk analysis using data from both the D.C. and regional risk and surveillance offices around August or September, the FWRO discusses priorities with the national SEC office. Then, the FWRO develops regional priorities and an exam plan for the fiscal year that includes a range of exam types. 3. Are Exempt Reporting Advisers (“ERAs”) being examined routinely or for cause this year? The FWRO confirmed that these examinations would likely be for cause only. Moreover, while the FWRO does not anticipate ERAs will be a national or regional priority, many ERAs are involved with ICOs and, thus, may come to the SEC and FWRO’s attention in that manner. The FWRO closed by expressing its hope that calls like this will be the first step in its continued effort to increase transparency and communication with the financial services industry in the region and that similar calls will likely occur biannually. 1 Telephone Call with Shamoil T. Shipchandler, et al., Director, Fort Worth Regional Office, U.S. Sec. & Exch. Comm’n (Jan. 11, 2018).